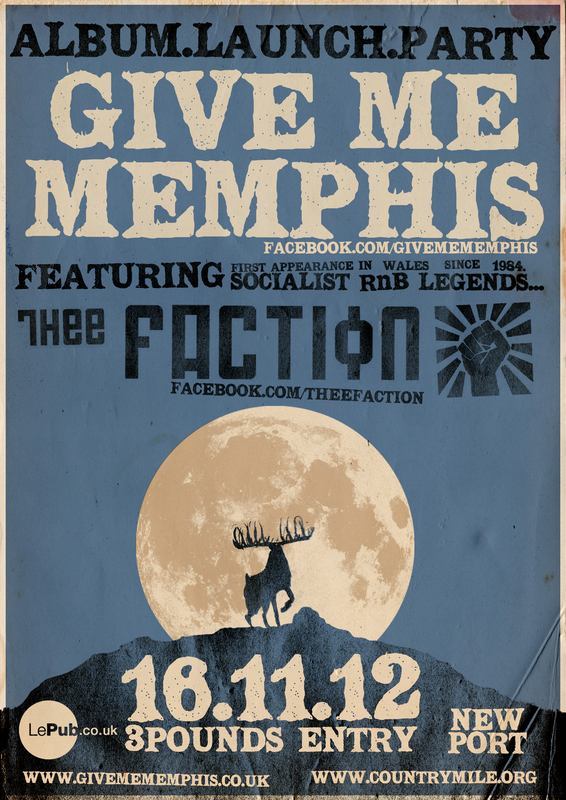 On Friday 16th November 2012 Thee Faction return to Gwent. You are all aware of the samizdat recording of At Ebbw Vale, on that legendary night, all those years ago. Well next Friday we will be just down the road from Ebbw Vale. In Newport. 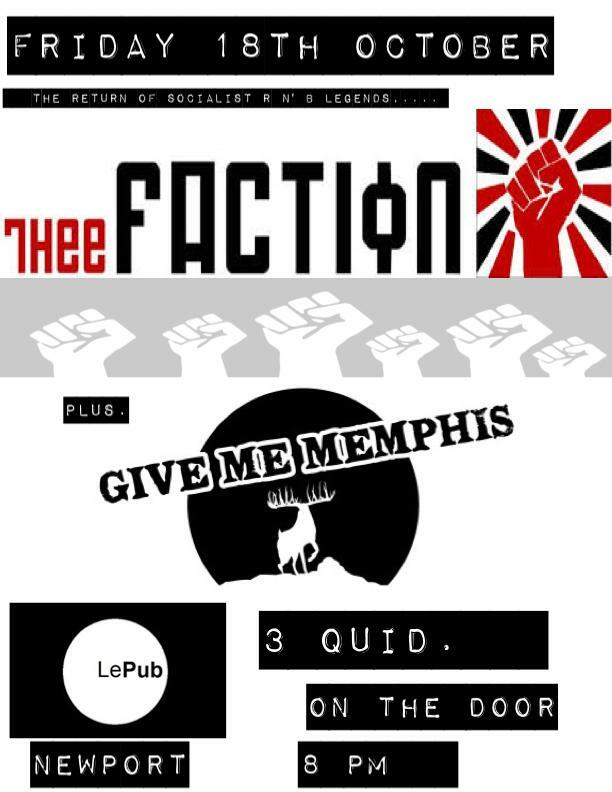 Our fine comrades Give Me Memphis are launching their tremendous new album Fore at their home venue of Le Pub, in Caxton Place, Newport. It has been 13 years since their last album, which we weren’t around for the launch of, as it came out during our ‘wilderness years’. So it is an honour to be with them to launch this one. If you are one of the many people who contacts us saying: ‘why don’t you ever play in South Wales/the West of England?’ then this is your opportunity to see us not far from home. Seize the opportunity. Come to the show, and take home copies of Fore and of Singing Down the Government. 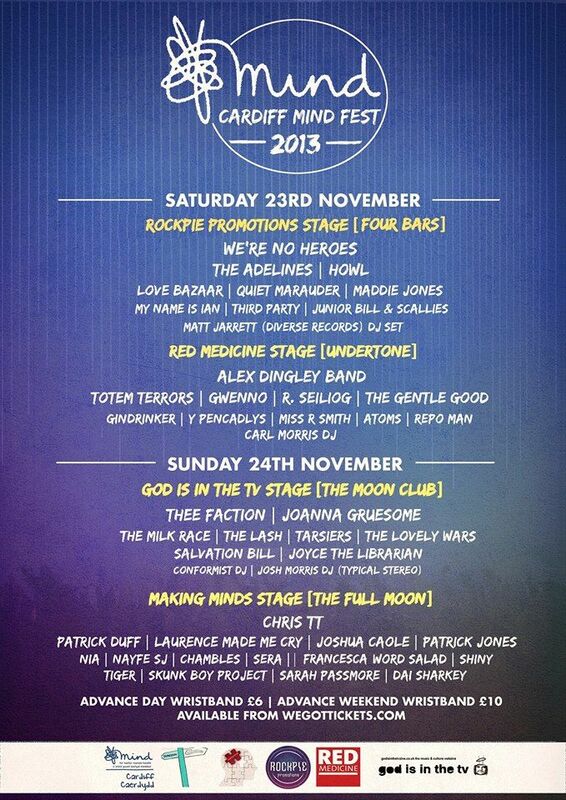 This gig is going to be enormous. See you there. Wear your best clothes. *or, at least, this is what we’re telling Dai Nasty and Baby Face, to humour their infantile bourgeois Welsh patriotic tendencies.